With Barry in the speed force, Iris, Kid Flash, Joe and Vibe have taken over protecting Central City. 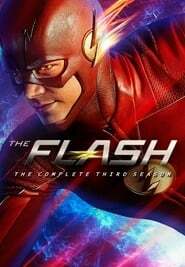 However, when a powerful armored villain threatens to level the city if The Flash doesn’t appear, Cisco makes a risky decision to break Barry out of the speed force. However, the Barry that comes out isn’t the same Barry that went in.